Please enter your email address. The new password will be mailed to you. Please fill your school information here. However, you can also add this information on profile page later. Thank you for registering with SeasonWatch. Please confirm your email address by clicking on the link in the message we have just sent you. If you can't find the message in your Inbox, please check your Spam folder as well. An new password e-mail has been sent to yours mail address.If you can't find the message in your Inbox, please check your Spam folder as well. Have you noticed how the summers are becoming hotter and the monsoons more unpredictable? 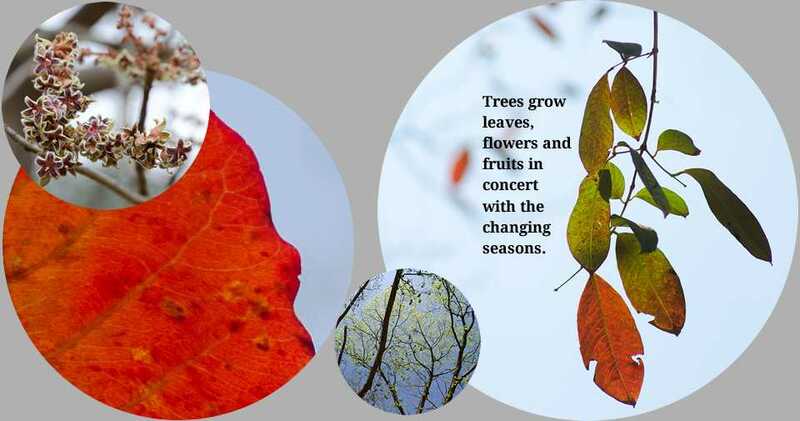 Have you wondered how changes in our seasons might affect the world around us? 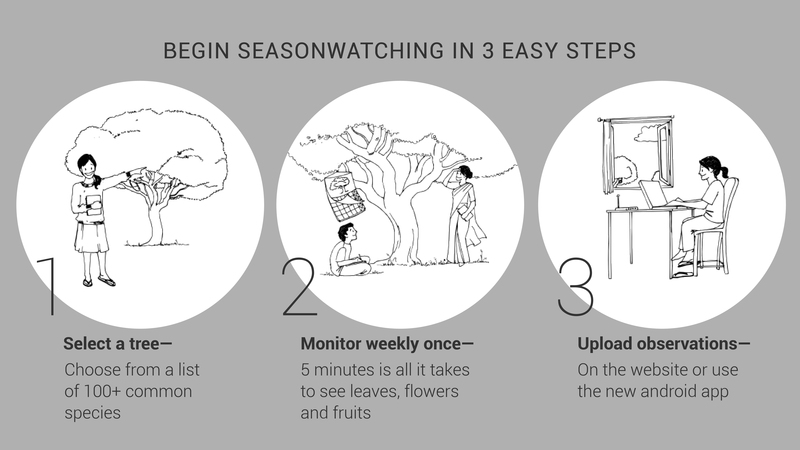 SeasonWatch is an India-wide program that studies the changing seasons by monitoring the seasonal cycles of flowering, fruiting and leaf-flush of common trees. 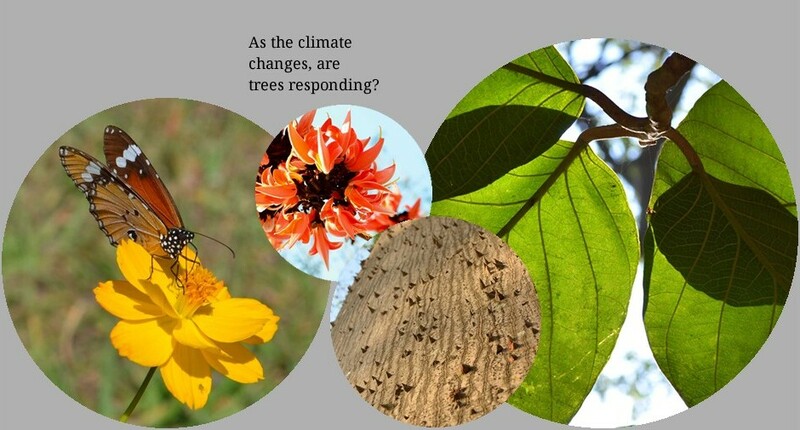 Anybody - children and adults, interested in trees and in the rapidly changing climate can participate. It's very easy! 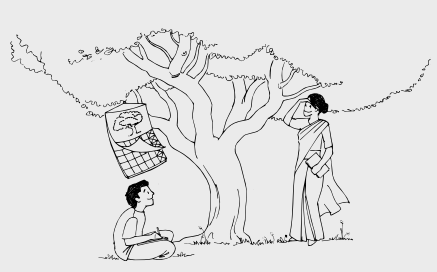 Just SELECT a tree near you and MONITOR it every week. UPLOAD this information through your account on this website to add to the data collected by volunteers all across the country. Interested? 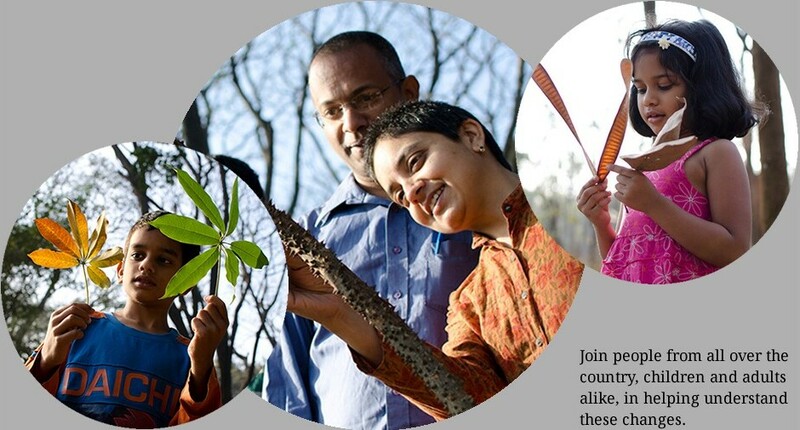 Read the DETAILS of the project and REGISTER to join our brigade of nature observers! The tree species that we are monitoring in SeasonWatch have been chosen because they are widely distributed across our country. You can select from a list of 25 focal species, but are also welcome to check out the entire list of species being monitored. 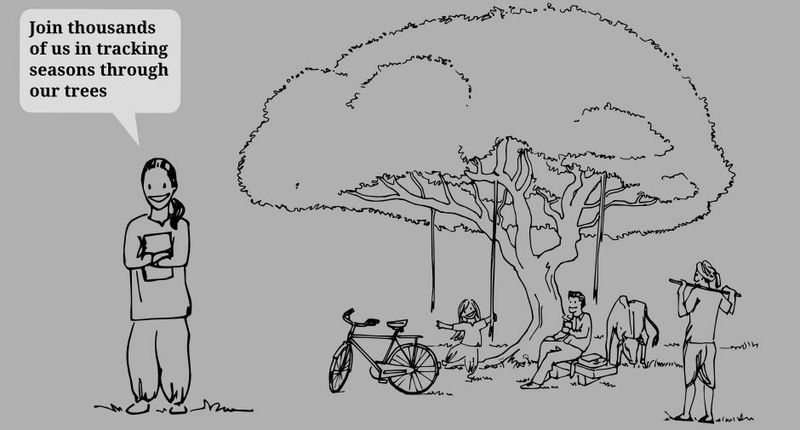 Take a walk outside and look at the trees in your neighbourhood and choose healthy, mature trees from the SeasonWatch list. 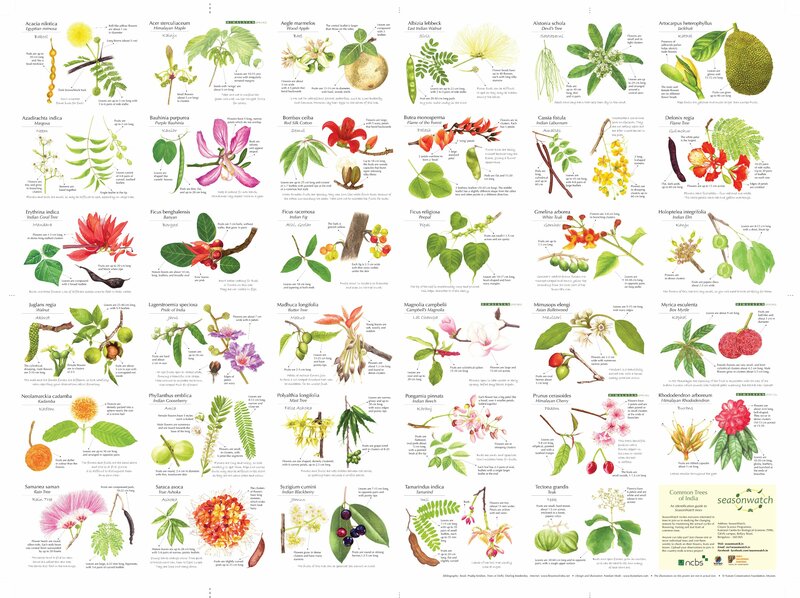 You will have no trouble identifying the Neem or the Mango but may face some trouble with, say, the Red Silk Cotton or the Indian Coral Tree. When you register you get access to detailed material that can help you identify all the SeasonWatch trees. 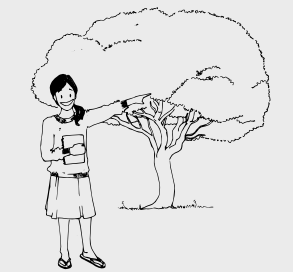 Once you have identified and chosen your trees the next step is to monitor them once a week. 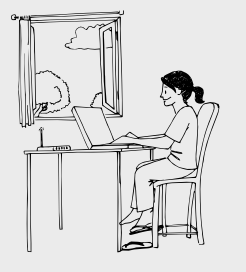 This is the central activity of SeasonWatch and is a simple 5-minute job for each of your trees. You look for the following tree parts- leaves [fresh and mature], flowers [buds and open flowers], and fruit [unripe and ripe]. And you note down whether each of these are 'none' or 'few' or 'many'. So, for a mango tree you are monitoring you may find that in a particular week there were few fresh leaves, many mature leaves, no buds, many flowers, no unripe fruit and no ripe fruits. It's easy! Monitoring your trees may be easy but when thousands of people upload their observations into a central database through this website, the results become exciting. You begin to see how your five-minute-per-week observations contribute to the understanding of the larger seasonal variations that are happening across the country. Also, SeasonWatch is based on a philosophy of open sharing and all participants have complete access to the knowledge that they help to co-create here. REGISTER and become a SeasonWatcher!